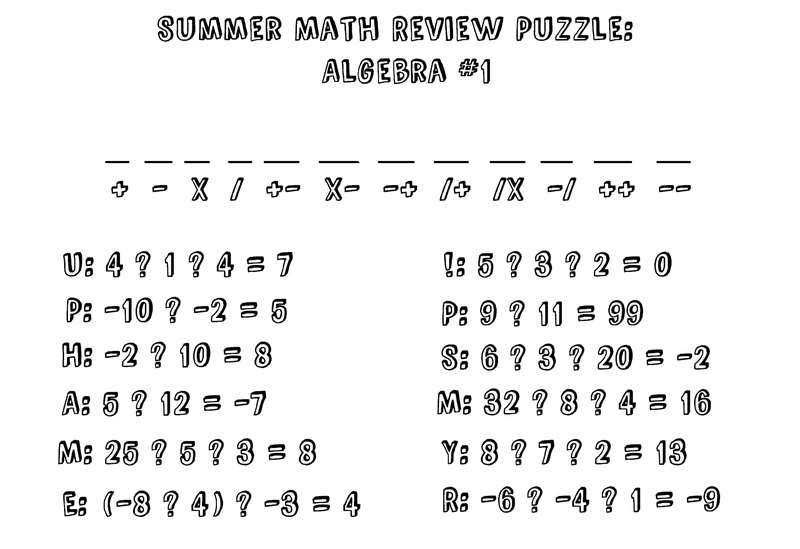 One of my students asked if I would write her some math puzzles to help her review Algebra I over the summer before she goes into Algebra II. I thought I’d post them here, too! Hope you like it!